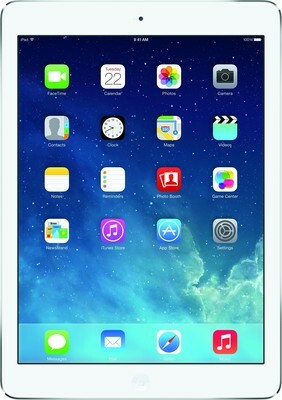 Apple has officially introduced the iPad Air along with iPad Mini. The new iPad Air is thinner, lighter and is powered by A7 64 bit processor. Like the Mini it is also 7.5mm thick and weighs 469 grams. It has 9.7 inch LED backlit Multi touch display with IPS technology having 2048×1536 pixels resolution at 264 ppi. The iPad Air has 1.2MB webcam at front and 5MP shooter at the rear. It is capacble of recording Full HD videos. It houses 32.4 watt-hour battery that claims to offer 10 hours of web surfing over WiFi. Although there is not much improvement other than the new iO7 OS, A7 and M7 co processor and high resolution Retina display. The price of iPad Mini starts from $499 for 16GB model.